Loving my super flash new hair straightener - secretly bought online by my hubby for a super good deal!! I'm actually starting to wonder if my old one died after all the strange things I used to use it for (see here). Loving my new crochet hook - it's even my favourite colour!! 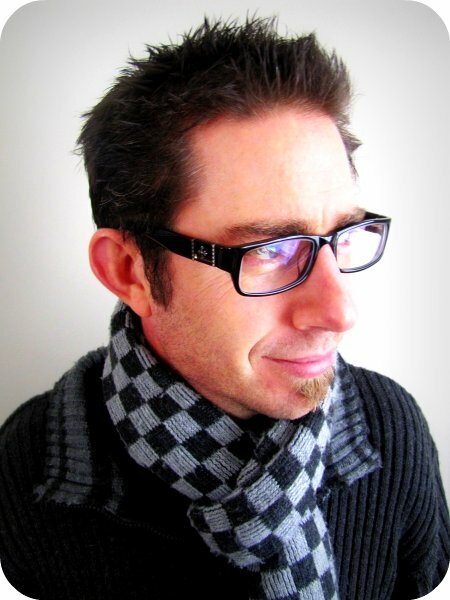 Loving free glasses for hubby thanks to Clearly Contacts NZ - they gave away 10,000 free pairs of glasses within 2 days! Please note: this is the 'forced to pose for blogging wife' look. Very similar to this one actually. Cracking up when going on Doggelganger (the kids forced me to... honest!) that I was matched up with a Staffy! Looks like me and Boo really are a good match. 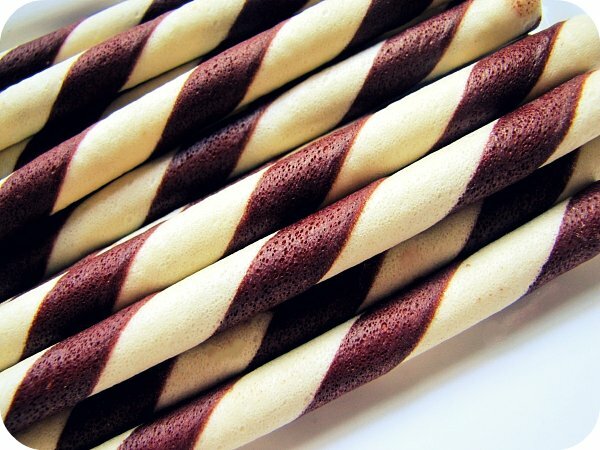 Loving wafer sticks! Totally love these crunchy wafer treats... they are dangerously delicious. Loving the World's Best Sewing Tutorials, 101 Pretty Free Printables, and 101 Sewing Tutorials. Also loving all the inspiring and moving stories being posted lately by my blogging buddies... Neetz, Arna and Jaz - you guys are inspiring and such precious people!! Love those explosions! I hate the way my hair looks straightened but I feel like I am missing out! Love the red straighteners! And funny explosions! And the glasses look great - we missed out, it had finished by the time Morg decided what he wanted! Ok so a RED hair staightner had got be better than the slower, darker varieties!!!! Go you!! 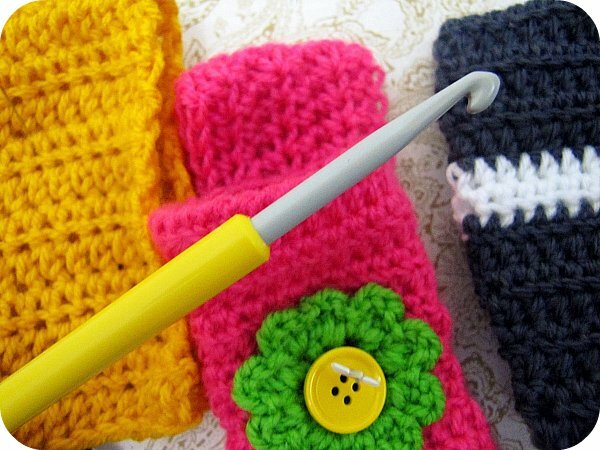 I used to have a crochet hook just like that one colour and all many years ago when my Nana was teaching me to crochet. Love seeing things that remind me of my family who have passed. Hi , lovely blog you have and very colorful ! Mr Paisley Jade is looking very hunky in his new glasses! What a great post Kirsty!! Haha, Simon, the long suffering bloggers husband. Poor him. I'm in serious nesting mode for our due baby, if that coca had exploded in my kitchen (which it has this week) I would have cried (which I did). Those wafer sticks frequent our house at christmas as an 'extra' gift under the tree ... they never last very long - and that's not because they get given to a surprise visitor!!! That exploding room happens here too - I wonder what the cure is?! Yes, i know those exploding rooms! And i experienced the dying hair dryer this year - my first reaction was annoyance with the company for making such junk, but then I realised it was nearly 17 years old! I have a lovely new one now and am imposing high expectations! Yay free glasses! And love the free glasses, I got some last time they did it and I am SOOOO pleased with mine. 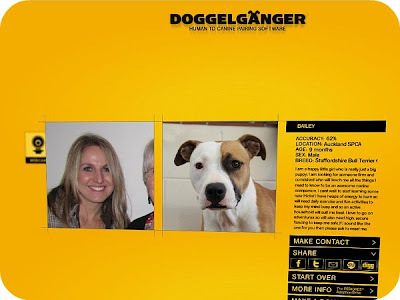 Awesome list - love the doggelganger - I'm a staffie too :-) Have a lovely weekend! 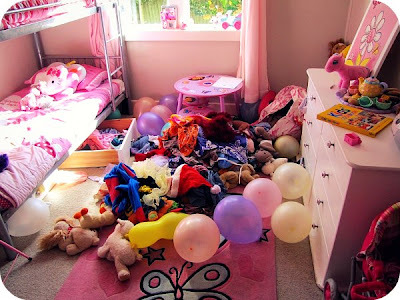 You girls room looks exactly like mine Mahli's room at the moment. I have no idea how they trash there rooms so so fast! Wafer sticks are the bees knees! Love them. I love how you put that mess can be tidied, something I need to remember more often. I also figured out how to link to you today and add the button! Yay! I feel like I can never find a straightener that I really love. Maybe it is just my hair! : ) Our hubbies have very similar glasses. And that Doggelganger is hilarious! Haha we'll have to try that dog thing...and yep we're familiar too with the exploding cocoa and rooms around here too!!! have a great weekend! Love love love your little crocheting project...the bright colors are stunning. Great as always (but eek, what an explosion! tee hee! - love your positive attitude in dealing with it!). 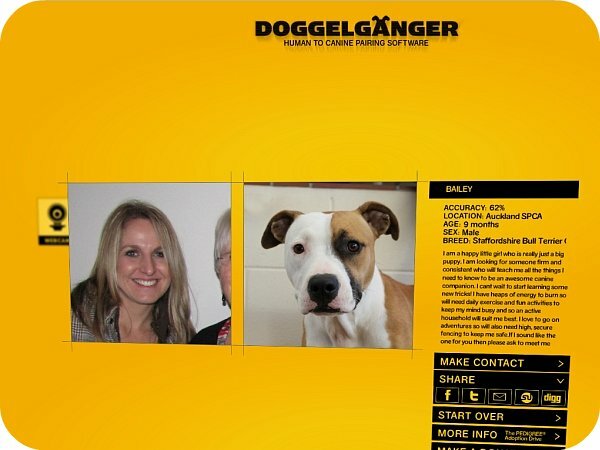 Giggled at the dog owner/dog match up thing! Love those choc waffers... yum! hahaha when I saw that photo of you and your hair straighteners I said to myself, "Charlies Angels. She looks like she belongs in Charlies Angels." I love your self portraits. And *smile* about the patience of your blog-posing hubby. He's much more patient than mine!! Love the glasses Mr Paisley Jade, the crochet hook looks amazing. Just love Fridays so I can see the thing you are loving. the look on hubby's face, priceless! exploding cocoa..yep, I know what you mean. exploding bedrooms, yep, another one. ooooh lovely! where did you get that hook? i want one!! I like wafers sticks too! Great post. Oh and since I know you like crochet, theres a giveaway on my facebook page. Hahahaha. That bedroom is hilarious!! Nice score on the glasses too Mr D! 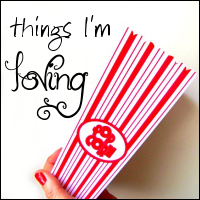 always love your weekly linky posts Kristy! So good to see so much joy in the small things everywhere! Have tried to join the linky but it won't again! Arghh. i love free glasses too, but i never can get free glasses because my prescription is too high! 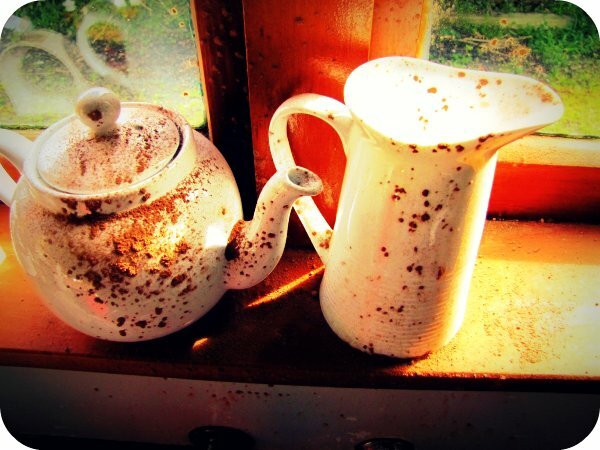 I love love love the photo of the teapot! 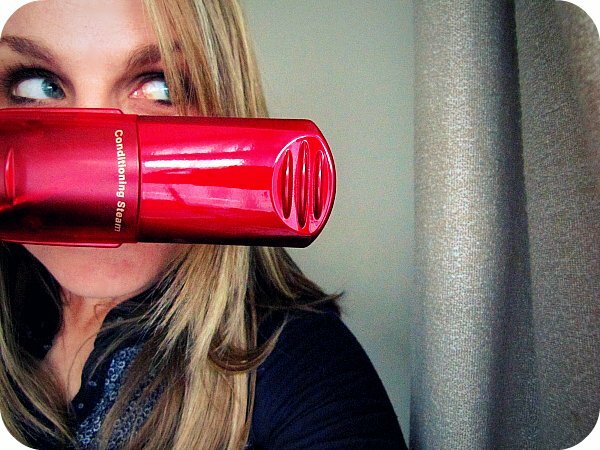 If the boyfriend complains about the purchase, I will tell him about the hundreds of ways you can use it. Love your post Kristy ;) they always brighten up my day! X! I'm loving the fact I'm not the only one who had bedroom explosions :) is it a girl thing? Ooh red hair straighteners... I want, I need, I must have! Where did you get 'em?